It’s been too long since we’ve sent out an update. The winter has seemed to fly by and it’s crazy to think we are only two or three weeks away from planting. We’ve got most of the machinery ready to go and the seed is on site. The plan is to run two planters again this year. The second planter, which we plan to use for soybeans, is a prototype machine we are testing for Great Plains Manufacturing. It is scheduled to be delivered next week, we are both excited and nervous to see what it looks like! The recent rain is welcome as it had been unseasonably dry. As soon as it drys up we are ready to start applying the spring herbicides and nitrogen. With the early warm up the benefits of our fall burndown herbicide program are very apparent this spring. The early mild weather has allowed us to get some field work done in March. We have seeded nearly all of the pollinator and CRP ground with just two small projects remaining. 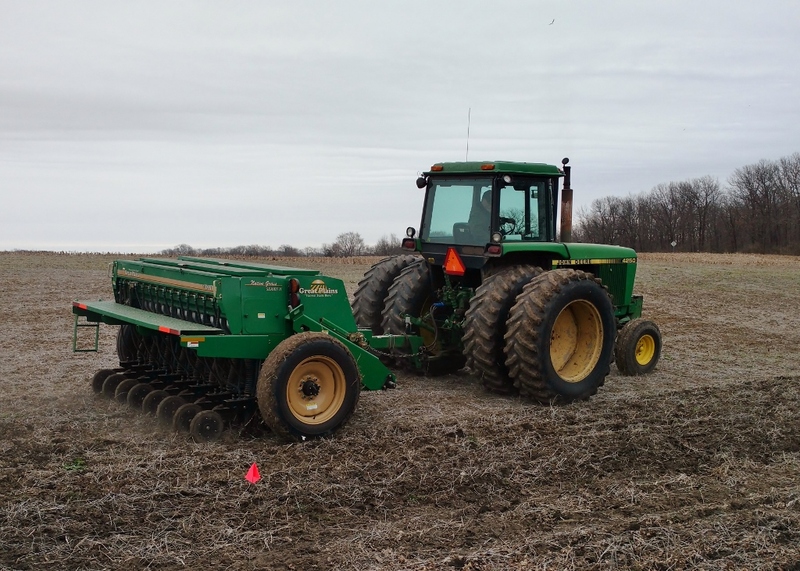 The pollinator program farms were seeded in frozen ground in January and the CRP was finished last week before the rain. 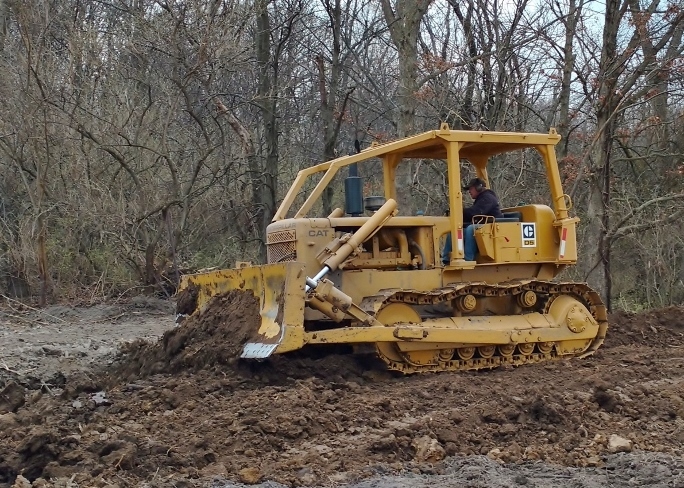 At the same time we were able to complete a waterway project started last summer and get it seeded. 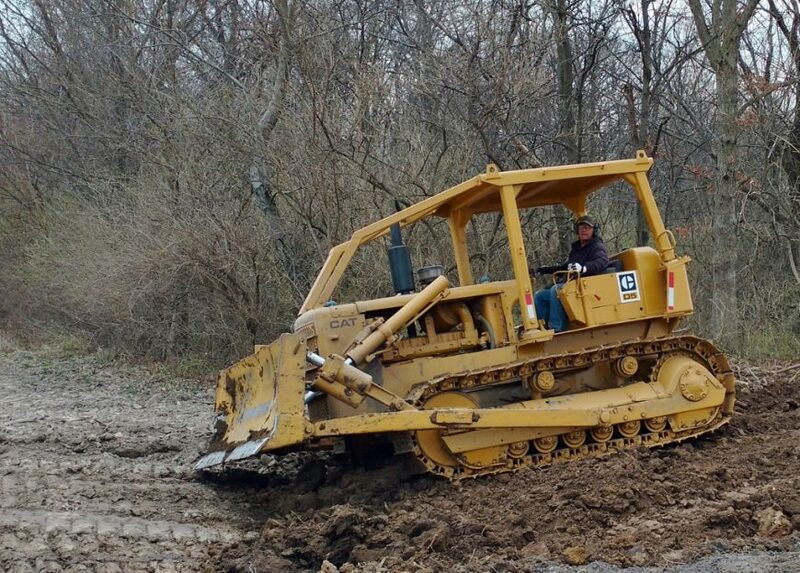 Trees and fencerows were cleaned up on a few farms as Rod got some seat time in the dozer. There are still a few piles we need to get burned. For now we are waiting on the weather but not complaining, as we are most definitely behind on moisture.